Featuring information-packed classroom lectures and valuable hands-on experience. Attendees will be given a miniature rose plant that they will be caring for and bringing back to every workshop. Enroll below and learn all there is to growing the best roses in Hawaii. The Rose School is open to everyone for a limited time. ​Class-size limited to the first 30 sign-ups. $35 Member Fee includes all of the above except annual membership dues. Please note: We must receive your payment in-hand in order for your enrollment to be final. If paying by check, please mail it to us as soon as possible. If paying by credit card, please proceed to pay immediately. You will learn about the essential ingredients to produce an ideal planting mix for your roses planted in the ground and/or containers. 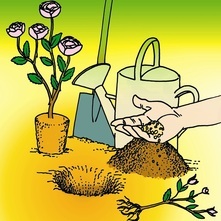 We will also cover fool-proof techniques of planting and transplanting potted starter-roses, bareroot roses, miniature roses and climbing roses in the ground and in containers. You will receive a miniature rose plant and gain hands-on experience transplanting a potted rose. You will learn about the cycle of bloom (from pruning to bloom) and how you can achieve huge and healthy blooms by customizing your own fertilizing program. 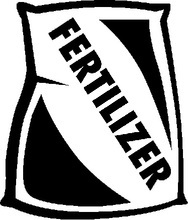 You will also learn about the benefits of organic and chemical fertilizing. You will gain hands-on experience fertilizing your miniature rose plant. You will learn and practice the proper technique and timing for pruning roses in the most interactive workshop in the series. 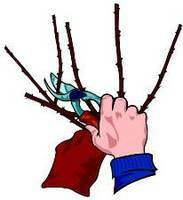 Also, you will learn about the basics of different pruners used for roses and tool care. You will gain hands-on experience pruning your miniature rose plant. If time allows, we will also venture out to the UGC Rose Garden for more hands-on experience pruning. Workshop followed by lunch provided ​by the HRS! 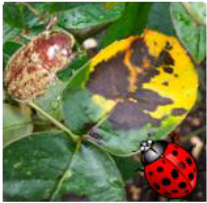 You will learn about Pests and Diseases of roses. We will cover safety techniques in spraying your roses to prevent diseases. You will gain comprehensive knowledge on daily care and create your own customized maintenance program to prevent fungal disease and pest problems in your garden. You will also learn about the importance of keeping an “eco-balance” in your garden which will help in reducing the future use of spray chemicals.